MetaEdit+ Graph Browser that integrates MetaEdit+ and Visual Studio. 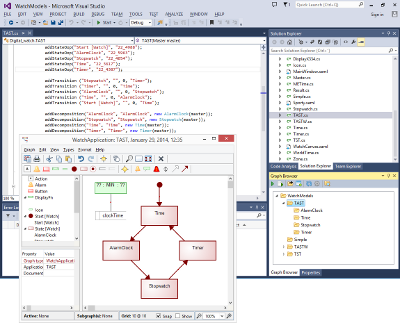 Allows user to explore models and use core MetaEdit+ commands in Visual Studio. Imports generated Visual Studio solution into Visual Studio. Visual Studio extension for integrating MetaEdit+ and Visual Studio. 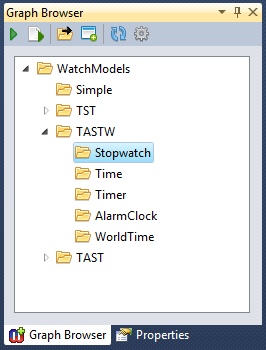 This extension allows you to browse MetaEdit+ models and use the main MetaEdit+ functions from Visual Studio. It can also automatically import into Visual Studio the source code generated from MetaEdit+. Watch a video (5min) demonstrating the use of the MetaEdit+ extension for Visual Studio. System Requirements: MetaEdit+ 5.x or 4.5, Workbench or API.